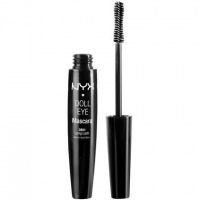 NYX Doll Eye Waterproof Mascara with a false lash effect makes your eyelashes longer and more voluminous! My experience, plus pictures. Hello everyone, This time I’m bringing you a review of the NYX Doll Eye Waterproof Mascara with a false lash effect. Price : $8 The mascara is available in 3 versions: Long Lashes, Volume and Waterproof. Just a regular mascara? Probably. A waterproof one? Definitely not! I’ve been using the same mascara for years, but sometimes I receive other ones to check out and compare. This time it’s NYX Professional Makeup Doll Eye Mascara. According to its name, one can expect the effect of false lashes - but what did the brand mean by it? The Bobbi Brown Smokey Eye mascara is practically perfect. Voluminous lashes without over-weighing and clumps. Fluffy and bright lashes are possible! I’ll show you this mascara in action. “Eyes to kill” - in the finest sense of this word. Giorgio Armani Eyes To Kill mascara makes my lashes really BIG!